Celebrity weddings make the headlines for one of two reasons: they're REALLY famous, or they've spent a whole lot of money. 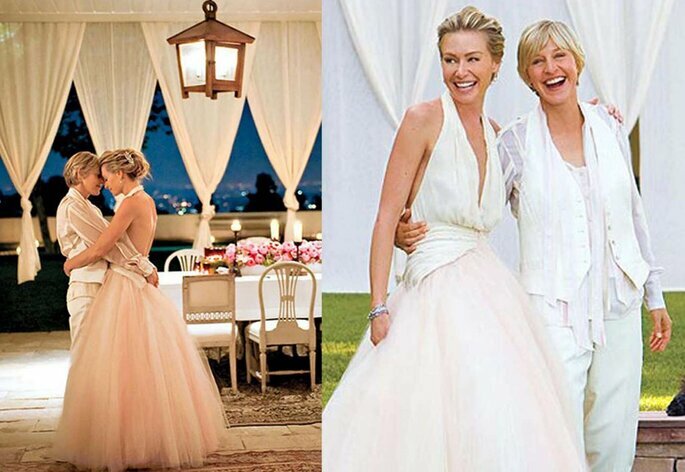 Check out the 15 most iconic celeb weddings here! We’re going to start off with what is widely considered to be the wedding of the century. Not merely because it was the first proper Royal wedding that we had had since 1981 (sorry Fergie), but because all of us had become so invested in Kate and Will’s relationship. Since they met at St Andrews University in 2003, and officially became a couple in 2005, we watched this young pair battle the British media and intense global scrutiny until they became engaged in 2010. However, their wedding put all of that behind them for good – costing an eye-watering $44 million (and a dress that totalled $450,000! 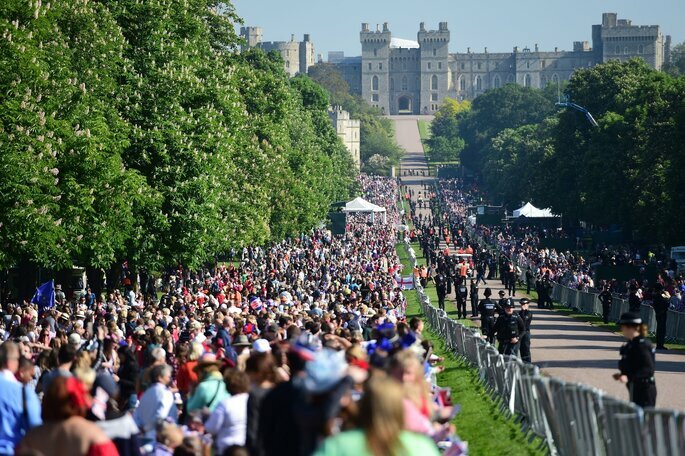 ), and watched by more than one billion people worldwide, this Royal event made headlines for months. 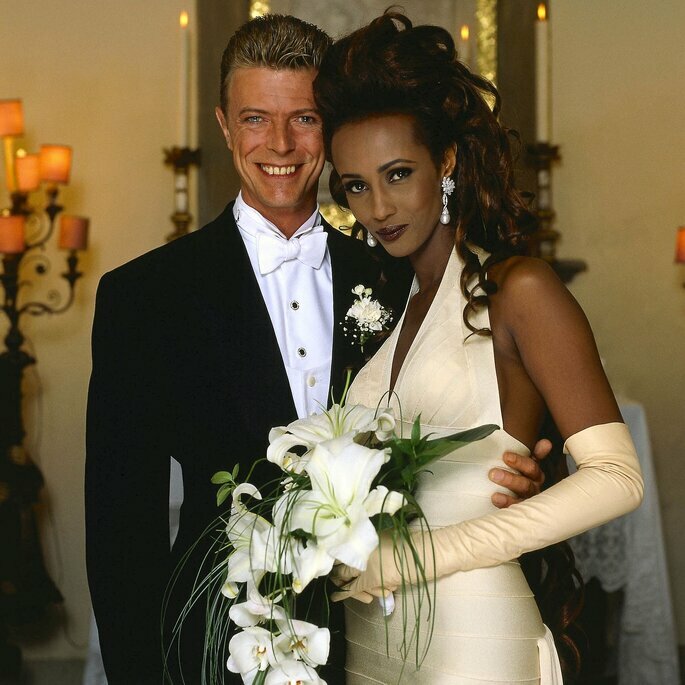 One of the more unexpected couplings in the celebrity world, legendary singer David Bowie and the gorgeous model Iman married in Switzerland in 1992, two years after having been introduced by a mutual friend. However, their secondary ceremony which was held several weeks later in Florence (on the 20th anniversary of Ziggy Stardust’s debut) is the one that had the world talking – although only 68 people were intially invited, thousands gathered outside to congratulate the couple, and they had a star-studded reception, with figures such as Bono and Yoko Ono invited. Iman’s dress came with a detachable train, and was designed by the French designer Hervé Léger. 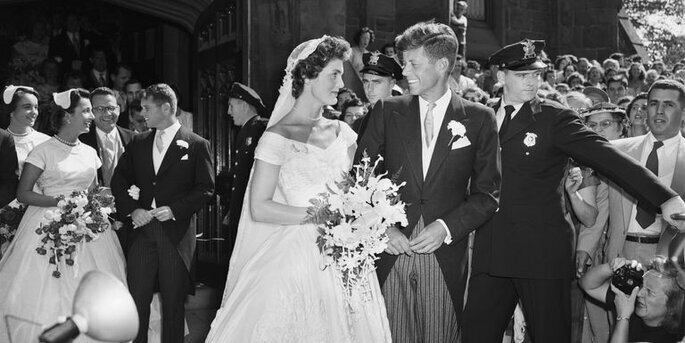 One of the golden couples of American history, the wedding of Jackie Onassis and future President John F. Kennedy in 1953 was considered the “social event of the season” (back when this was still a thing!). With an engagement ring adorned with a 3-carat diamond, and a 3-carat emerald, it was predicted to be a lavish affair, and lived up to the expectations. 800 guests were in attendance for the ceremony, which rose to a staggering 1,200 for the reception held at Hammersmith Farm (which belonged to Jackie’s mother); the bride wore a gown by designer Ann Lowe, which was made up of over 50 yards of fabric! Whilst Brangelina might not have lasted forever like we had all thought, their wedding back in 2014 was a joyous, family-orientated affair. With their six children involved in every aspect of the big day – including, and most specially, helping to design Angelina’s bespoke Atlier Versace dress, which had their drawings decorating the skirt – this was not just a day for Brad and Angelina, but one to be shared between their whole family. The ceremony itself was very intimate, with few guests invited, but the moment the photos were released of this special occasion, it became iconic. Everyone who is old enough remembers Lady Diana’s train on her wedding day – stretching out an unbelievable 25 foot behind her, the image of her leaving the church astride her husband made history. 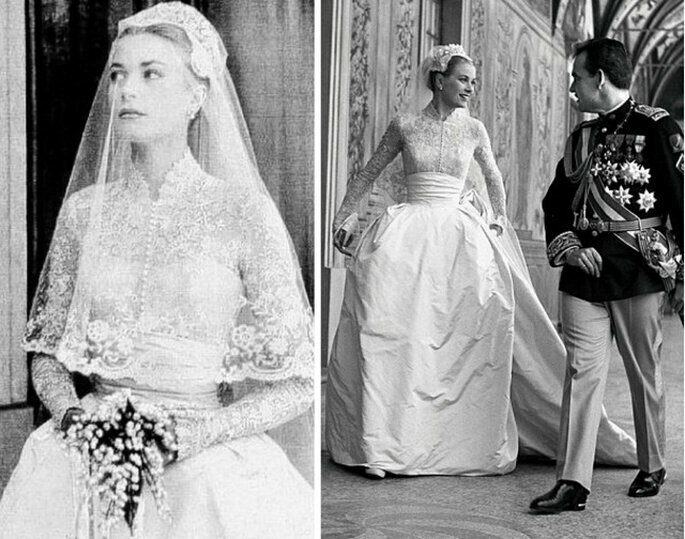 The dress itself was made of taffeta, decorated with lace, and was hand embroidered with sequins and 10,000 pearls – so not too bad at all! 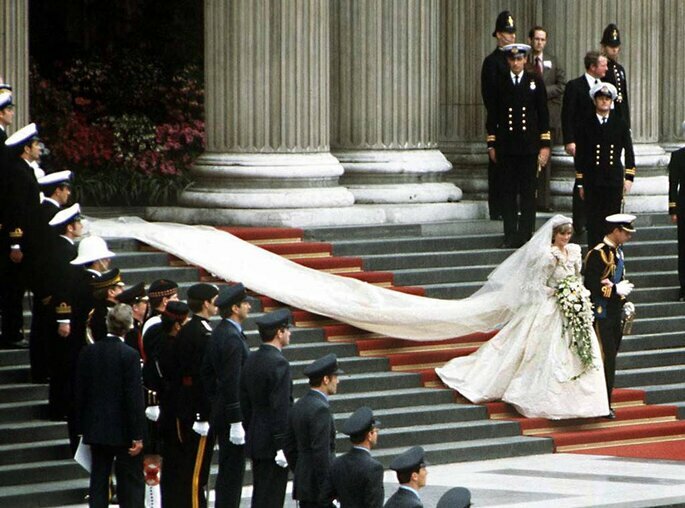 Much like her son’s wedding thirty years later, Princess Diana’s wedding to the heir to the throne was considered the wedding of the century, and was watched by 750 million people worldwide (which is impressive for the time!). 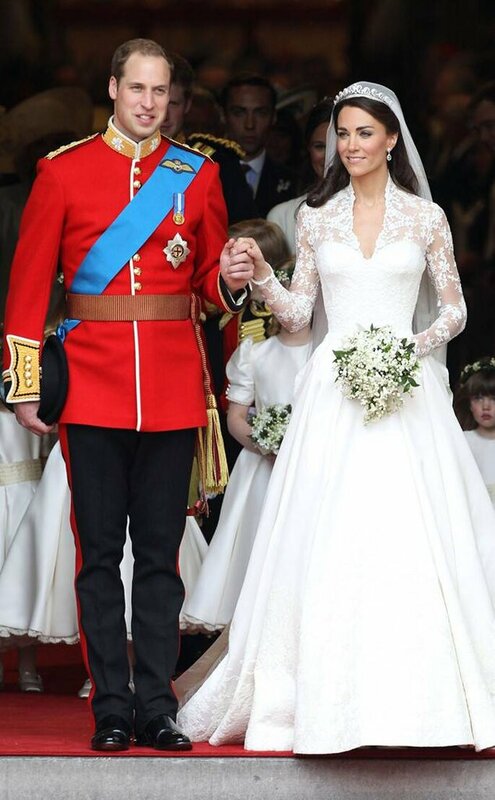 With pomp and ceremony an intrinsic part of the British Royal family, their weddings always wow. The only wedding that could come close to surpassing the excitement and fervor of Kate and Wills’ is of course that of the Prince’s younger brother Harry – who (with no offense to Will) is almost unanimously seen as the favorite royal for his cheeky and charming personality. 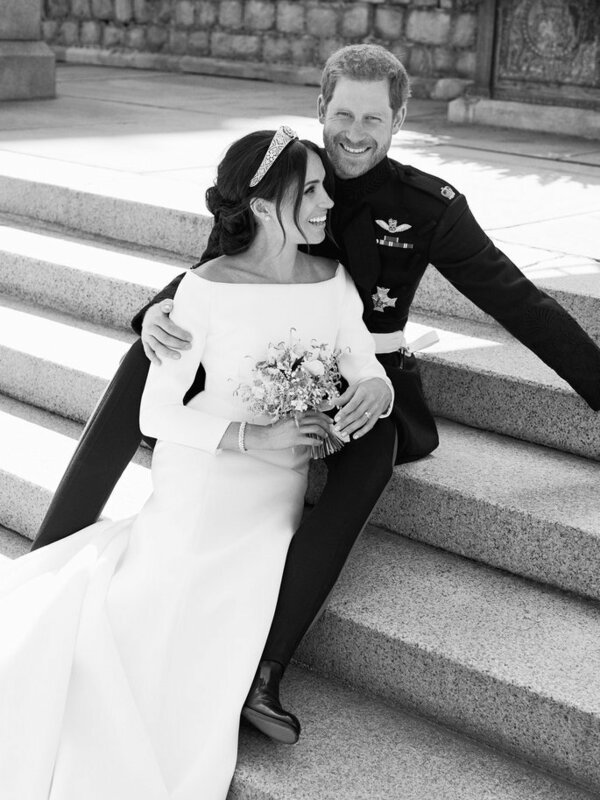 This wedding was made all the much more iconic by the bride – America’s favorite actress Meghan Markle, in the first proper case of a member of the Royals marrying a “commoner”. However, Meghan truly stole the show on their wedding day in Windsor, with two gorgeous wedding dresses (by Givenchy and Clare Waight Keller respectively), and a tiara that was bestowed to her by the Queen of England herself! Liz Taylor had incredible weddings, if not incredible marriages. 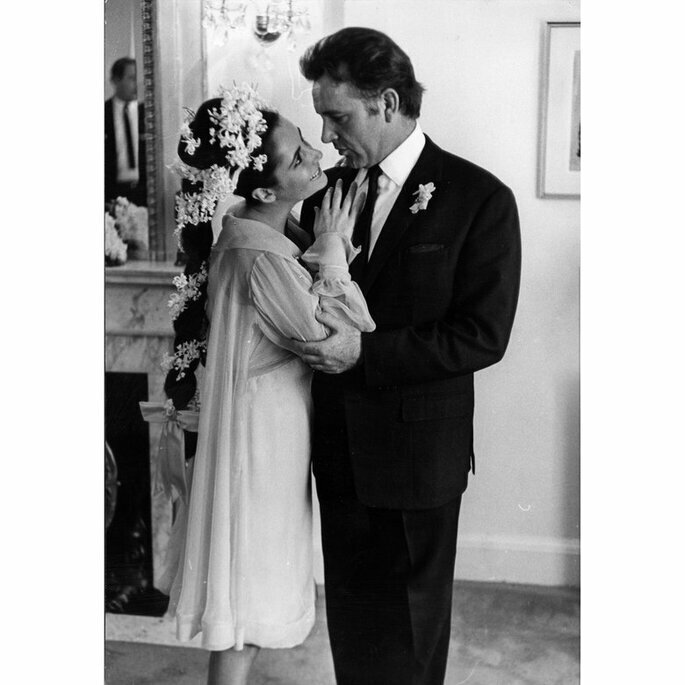 Tying the knot an impressive 8 times – and twice to the famed actor Richard Burton, who she first met on the set of the epic Cleopatra – their first wedding in 1964 sent shockwaves through the United States. This was primarily because when they met the year before, they were both already married! This marked Liz’s fifth marriage, and the longest – the two stayed together until they divorced in 1974, and then remarried the following year, before splitting up for good in 1976. A notorious Hollywood couple, these two set the bar for cinematic romance. We all thought we couldn’t love anyone more than George Clooney, and then we were introduced to his wife. 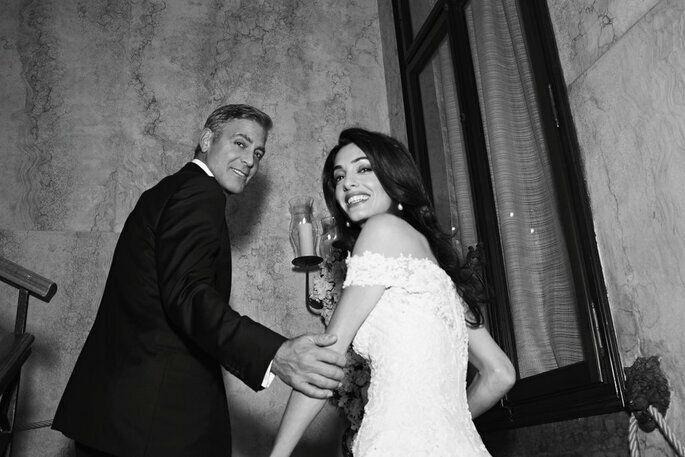 Amal Clooney is an internationally-recognised human rights lawyer who has worked with the UN to help child refugees and victims of war, and so we were all excited to see this couple tie the knot back in 2014. Marrying in one of the most romantic cities in the world, Venice, we all swooned at the sight of this wedding – which of course took place at the end of a pier! Amal wore a custom-made lace Oscar de la Renta gown on her big day, which saw all manner of guests arriving, from Cindy Crawford to Emily Blunt. When we think of 20th century style icons, there are 3 that stand out: Audrey Hepburn, Marilyn Monroe, and Princess Grace of Monaco. Her wedding to Rainier III in 1956 was a momentous event – back then, it was unthinkable that a Hollywood actress could be a member of any Royal family, and Grace was forced to retire from the silver screen in the name of love. Her iconic dress was made not by a bridal designer, but costume designer Helen Rose, who had worked with Kelly on previous films – it was made up of 10 different pieces, and featured rich embroidery and embellishment. Over 30 million people watched the ceremony worldwide – Monaco’s population at the time had just surpassed 20,000! One of the most enduring relationships in the music industry, Céline and René were together for thirty-six years before the music producer passed away from cancer in 2016. 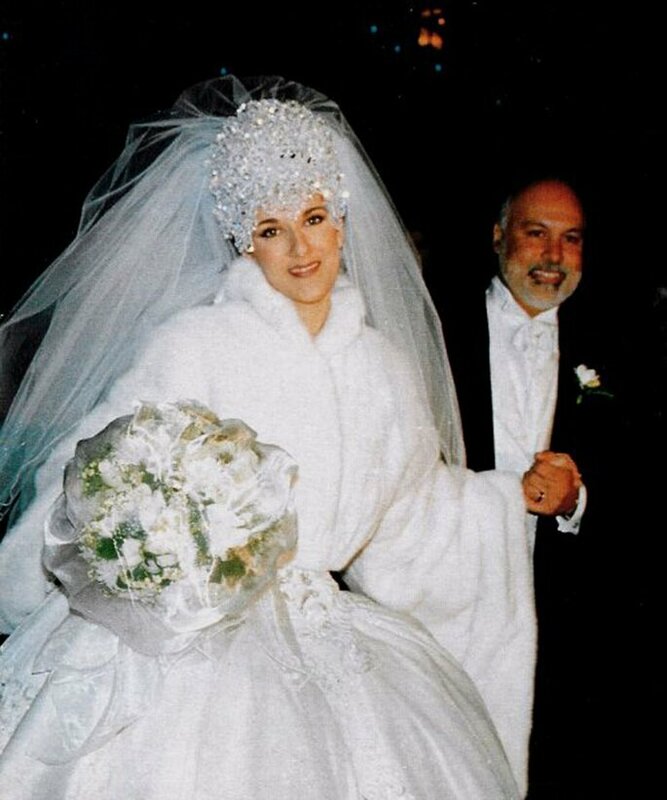 Despite many years of living in the public eye, their wedding in 1994 is still remembered as one of their greatest moments as a couple; it was extravagant, it was luxurious, and it was very public. Céline’s dress was designed and made by Mirella and Steve Gentile – and took a ridiculous 1,000 hours to make, had a 20 foot train, and the bride also wore a tiara that weighed 20 pounds. The wedding also received the royal treatment, and was broadcast live all across Canada as its two most famous exports tied the knot. Like them or loathe them, Kim and Kanye threw one of the most spectacular weddings of the decade when they married in Florence in 2014. With 10 foot flower walls surrounding the couple as they exchanged vows, this famous pair spent nearly $3 million on their nuptials; Kim wore a bespoke Givenchy gown designed by one of her pals Riccardo Tisci, which was less outrageous than we had all been expecting, but still lavish enough! Valentino Garavani (yes, that Valentino) also played an important role in the wedding, hosting their wedding breakfast, and bringing all of his wealthiest clients as guests. 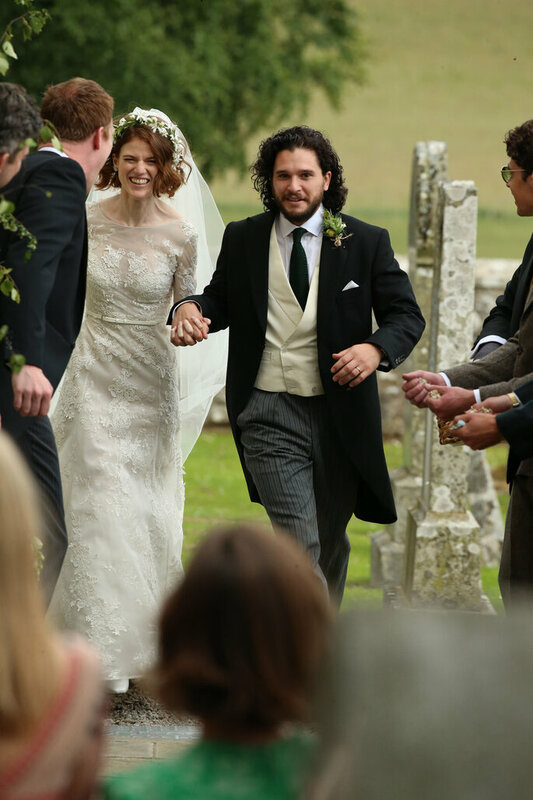 A more understated occasion than the previous feature, Game of Thrones‘ superstars Kit Harington and Rose Leslie’s wedding earlier this year was a genuine delight for friends, family and fans all across the world. With both emanating from some of the oldest families in Britain, their Scottish wedding was traditional and intimate, with the bride wearing a gorgeous vintage Elie Saab gown and veil to the ceremony – which was attended by some of the world’s biggest actors, including fellow castmates Sophie Turner and Peter Dinklage, and musical stars like Marcus Mumford. 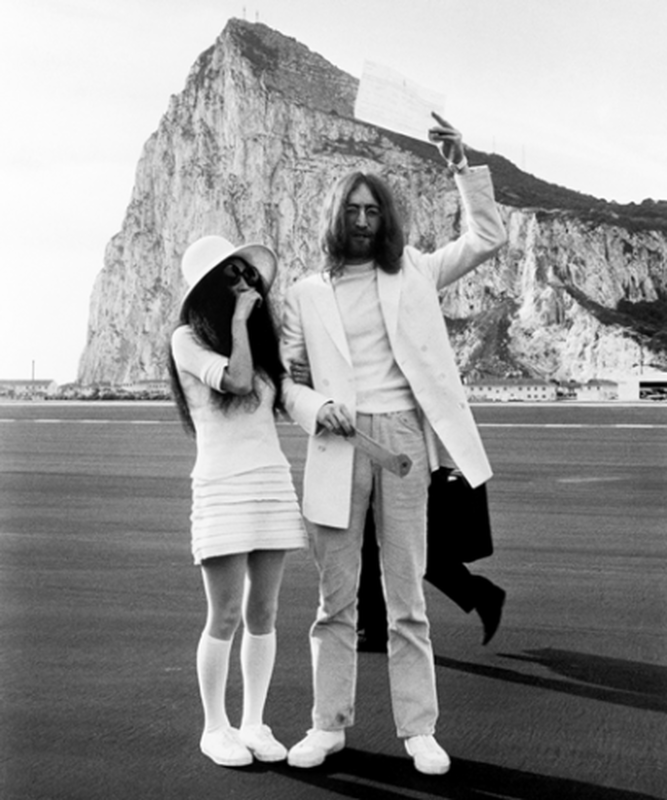 And to finish up our round-up of the most famous celebrity weddings, is there any duo more appropriate than John Lennon and Yoko Ono? A relationship that was steeped in controversy from day one, the two married on their way to Paris in 1969, with the bride wearing a short dress with tennis shoes. The wedding itself was not what contributed to this pair’s inclusion on this list however – it was more the reaction that it provoked, and the events of their honeymoon. Instead of a short trip away to the Caribbean, John and Yoko staged a “Bed-In For Peace” in Amsterdam – hosting press conferences from their hotel room for two weeks. 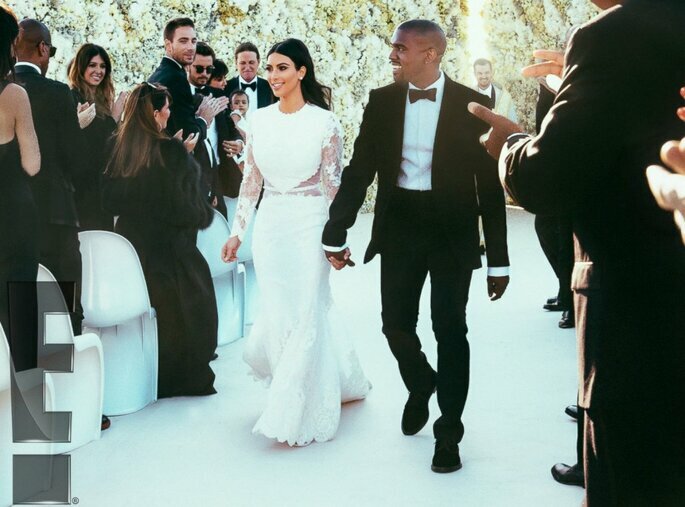 Celebrity weddings can be inspirational, or a lesson in just what not to do. However, beyond anything else, you can always be sure that they will make an impression! For more celeb news, stay up to date on our website!